A Japanese surprise attach sought to wreak havoc in the United States with ballooned explosives. In theory, the balloons (over nine-thousand of them) would ride the jet stream for a few days before releasing a payloads of explosives across America. In reality very few balloons are estimated to have made it to the United States and only six deaths resulted from the attack, all from one balloon. Many more were found detonated. The idea is simple enough: take the beloved concept of the bayonet and transfer it to the pistol, making it what would amount to a dagger. 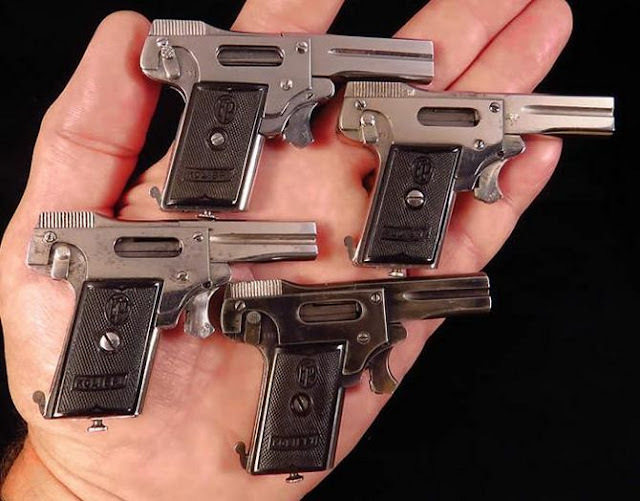 But the firing mechanism in early models was easily upset, so swinging the pistol itself could cause it to misfire, leaving you exposed given how long it took to reload (assuming you didn't shoot yourself). 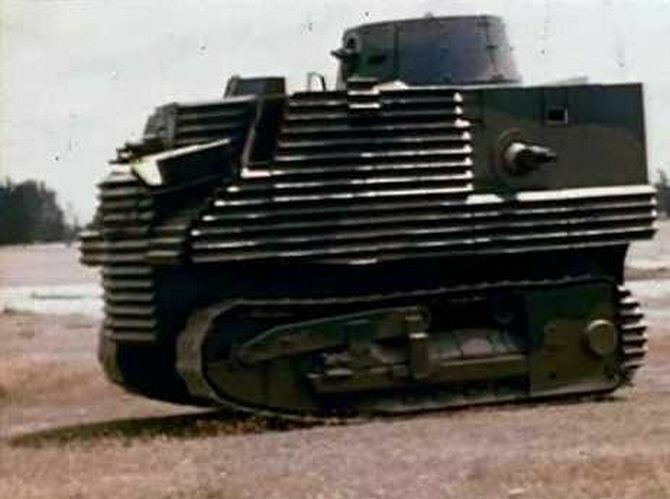 New Zealand's first tank design was born of desperation, and sadly the impressive look left much to be desired in terms of actual function. At its core it was a tractor, giving it little speed compared to other tanks. The armor was flimsy and easily pierced by standard firearms. Finally, the guns themselves were in fixed positions. This German pistol was made for self-defense, not war (and in fact production of the weapon stopped on when WWI broke out). Known now for being the world's smallest pistol, it fired six rounds with no recoil. Unfortunately the bullets themselves were incapable of causing much more than a slight sting. 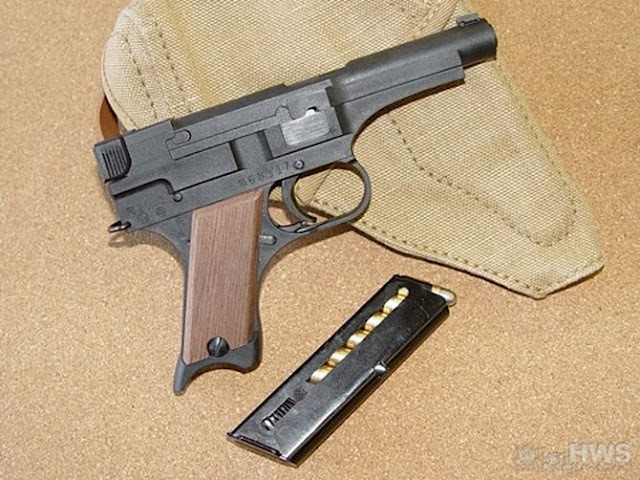 The Imperial Japanese Army favored this light-weight pistol at first, especially pilots. But the unique design, which featured the sear bar on the outside, meant it could misfire very, very easily, so much so that urban legends persist of soldiers using this defect to their advantage for surprise attacks. The Axis get a lot of flak for the bizarre nature of their experimental weapons, but few compare to British DMWD. 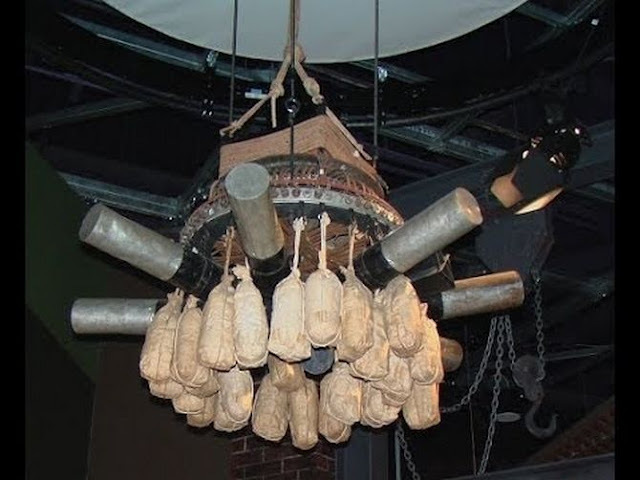 The Panjandrum was a rocket-propelled exploding cart. In essence, fire wheels. 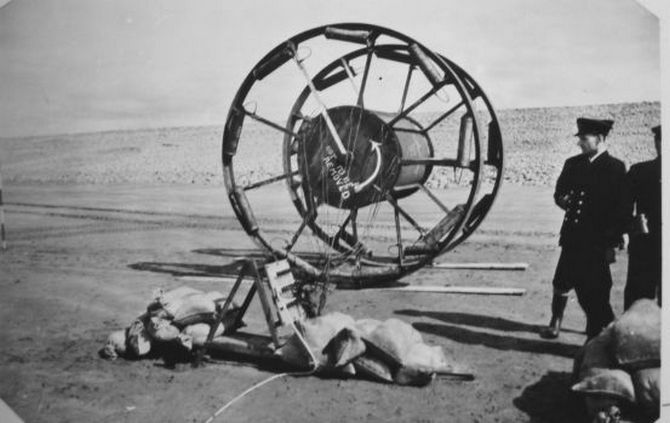 It never saw combat use, however, because the rockets used to move the wheels often detached and exploded. 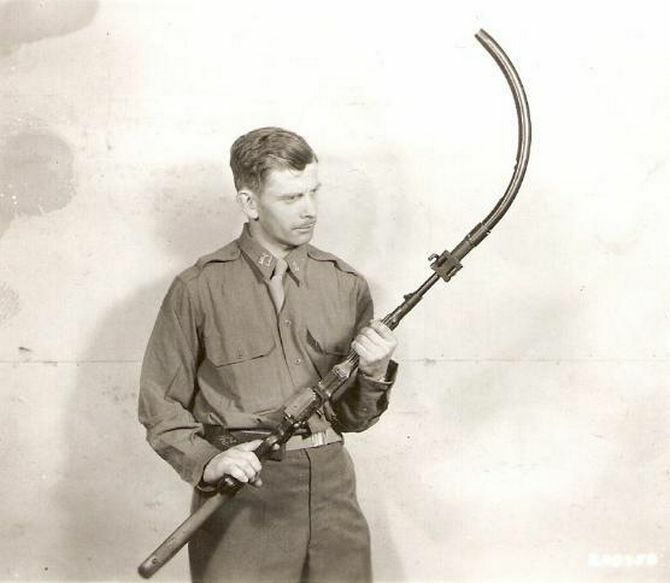 This World War II rifle attachment was designed to fire around corners without exposing the soldier using it. Ignoring the obvious issues with with physics of curving a bullet in such a way (the bullet would shatter before exiting the barrel) the barrel itself would break after only a few hundred rounds were fired. 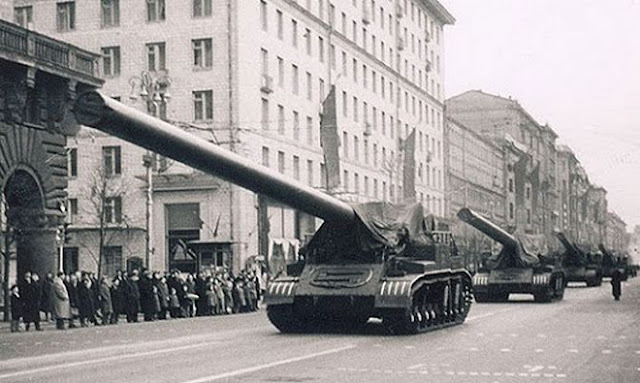 An impressive looking piece of artillery from the Soviet Union, the 2B1 Oka has some obvious design issues that kept it from achieving battlefield-ready status. First, due to the difficult loading process it could only fire one round every three minutes or so. Second (and perhaps more concerning) was the twenty-meter barrel, which made the whole piece a nightmare to move. 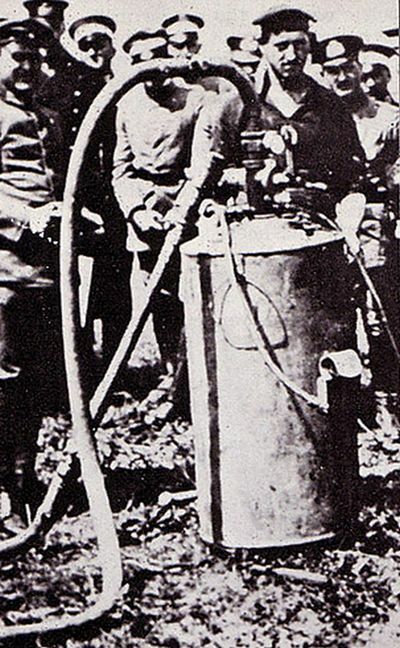 One of WWI Germany's attempt to make a flamethrower, this unit was likely to make its users its only casualties. The weight of the device meant that a group of three or more had to carry it. However, it was incredibly delicate and prone to explosion at even mild shocks. Given its size, this wasn't hard for enemy troops to achieve. However, rough movement could set it off too. 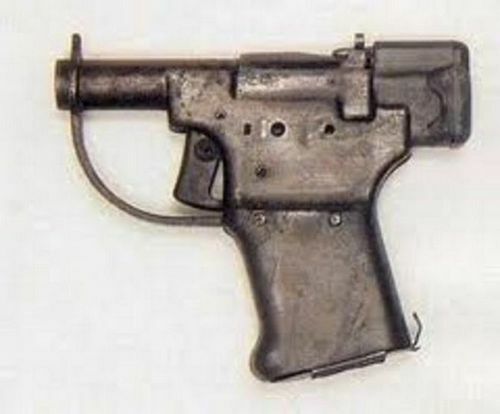 This single-shot pistol was designed by the Allies to be airdropped into Nazi-occupied areas of Europe to aid resistance fighters. Generals saw little use for it and as a result distribution was cut to just over twenty-thousand units. Though records of its use don't exist and its effectiveness is nil, the strategy of airdropping simple arms to guerrilla fighters was continued by the United States.